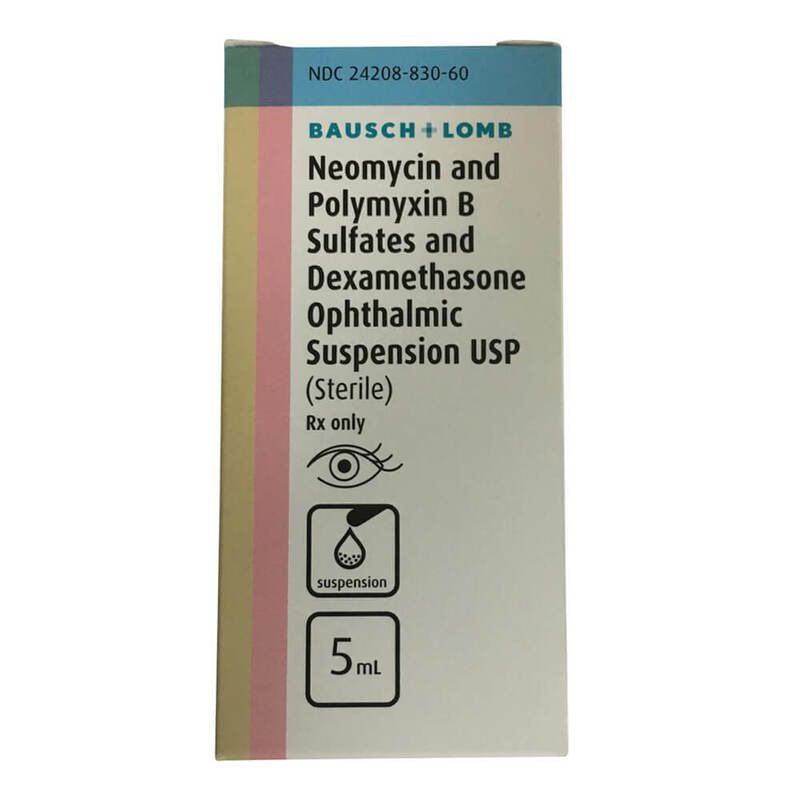 Neo Polydex Suspension is for steroid-responsive inflammatory ocular conditions for which a corticosteroid is indicated and where bacterial infection or a risk of bacterial infection exits. Ocular corticosteroids are indicated in inflammatory conditions of the papebral and bulbar conjunctive, cornea, and anterior segment of the globe where the inherent risk of corticosteroid use in certain infective conjunctivitis is accepted to obtain a diminution in edema and inflammation. They are also indicated in chronic anterior uveitis and corneal injury from chemical, radiation or thermal burns; or penetration of foreign bodies. The particular anti-infective drug in this product is active against the following common bacterial eye pathogens: Staphylococcus aureus, Escherichia coli, Haemophilus influenza, Klebsiella/Enterobacter species, Neisseria species, and Pseudomonas aeruginosa. Have questions about your prescription? Contact our pharmacist toll free at (877) 813-7387.